Tried to make dry curry and succeeded after a lot of hard work and help from my friend Aruj. 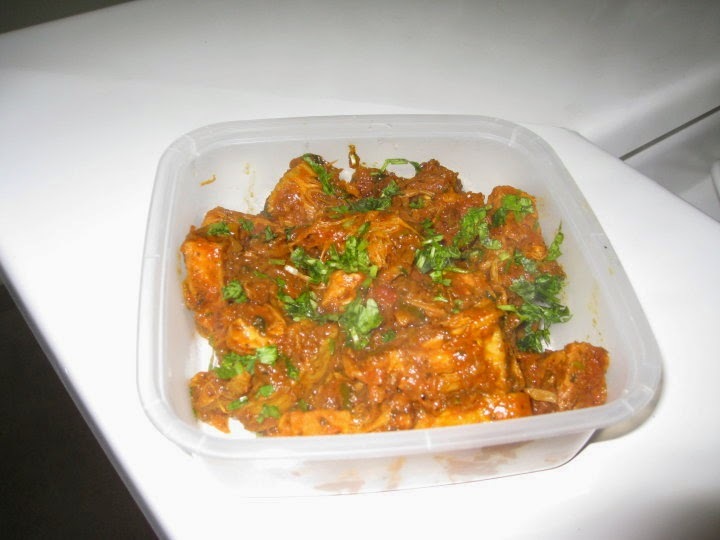 Got this image from google images and were able to make a similar looking curry. Gist of the method: If jackfruit is not ripened, boil in a pressure cooker for three whistles and then make like a normal chicken curry. Else no need to boil if it is ripe. Event Based Strategy: Buy or Sell based on where the event may seem to bend the situation, but cover the position with 60:40 ratio. When the government cancelled the mines allocated to JSPL, the stock tanked 15% whereas the puts went up by a whopping 400%. This was very easy to cash in as a single sided strategy as well as a hedged one if one wanted to minimize risk and compromise on profit. But it was a really nice time to cash in the news. Similarly when the Supreme Court deallocated the coal mines, the stocks of all the companies except coal india tanked heavily. That was very much a predictable event that could be cashed in but opportunity missed is an opportunity lost. Another event was the allocation of Spectrum to telecom companies, now the telecom companies would go into huge debts if the final payment is done. So their stocks tanked down. Playing daily by expert opinions, one should keep the target to 3-4% if he/she is not able to sense any logic for the move. An event having a particular impact on a company need not mean that it will impact the whole index. Rather the index depends on the general mood of the market, if majority is in a mood to sell even after some big event the index will fall heavily and vice versa. So the price was coming out to be equal to $ 4.56 per mmBTU but the government has made it equal to $ 5.01 from $ 5.5 for the public. Reducing the prices by this way hurt the companies such as Reliance Industries and ONGC. This can be used as an important parameter for future predictions. Lesson: While playing in options keep strict stop losses say 0.6 times the value of the contract, but on the target side buy even lots everytime and for a 2.5 times the cost sell odd number of lots and leave the rest odd to go to hero or zero. Q.1 How important can YouTube be for preparation of the Civil Services Examination? Online preparation at its best! It gives you an insight into the Indian constitution in a best possible way. This will surely make you proud of our constitution. of the most reliable one. Q. 2 How should I prepare to crack IAS 2015 in my first attempt without any coaching? stop reading newspapers until you qualify the exam. Start reading ALL NCERT books from Class VI to Class X. Read them in three passes. while making notes. Ultimately, your notes will prove to be the best book you possess. masses. Now let’s come to the writing strategy. 100 words, your notes should NOT exceed 10 words i.e., 10% of the source material. critically examine or how analyse is different from examine. mains. So write write and write. Keep writing until your hands give up! Have faith in yourself. All the Best! can afford four hours of study time daily. What are some good ways to use these hours judiciously? for the next one and a half years, no doubt you’ll qualify the exam with flying colors. editorials) don’t come under those four hours. very carefully and while making notes. books. Keep reading your optional subject simultaneously. with you is that you’ll be left with enough amount of time to practice writing answers. them evaluated by your teachers or mentors who specialize in that subject. many mock papers as you can. prepare to crack IAS 2015 in my first attempt without any coaching? I hope after becoming the IAS officer, you’ll ease many lives’ pain. All the best! Principles of working stress method. Design of connections, simple members, Built-up sections and frames, Design of Industrial roofs. Principles of ultimate load design(Actually the ultimate load is found from the strength of steel in plastic range). Design of simple members and frames.